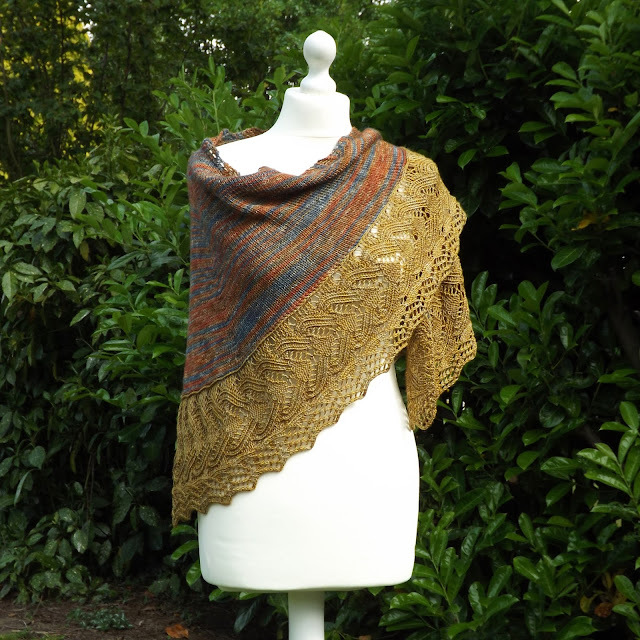 I'm delighted to announce that the Themyscira shawl pattern is now available to buy on Ravelry. I've been indescribably excited about the stand-alone Wonder Woman film since her cameo in Batman v Superman. The sight of a warrior woman facing down a giant alien monster made me bounce in my seat. I can't wait to see her deflecting bullets, lassoing bad guys and generally saving the world single-handed. All of my excitement has been channelled into this pattern and it is Wonder Woman inspired from edge to edge. The body of the shawl is a gentle crescent with a peaked edge drawn from the shape of the iconic tiara. It is edged with an Estonian lateral braid to evoke the lasso of truth and then bordered with an applied lace border. I designed the lace to echo the curved lines of Wonder Woman's bodice in the new film and the bottom edge is a simple chevron design to emulate the giant W of her logo. 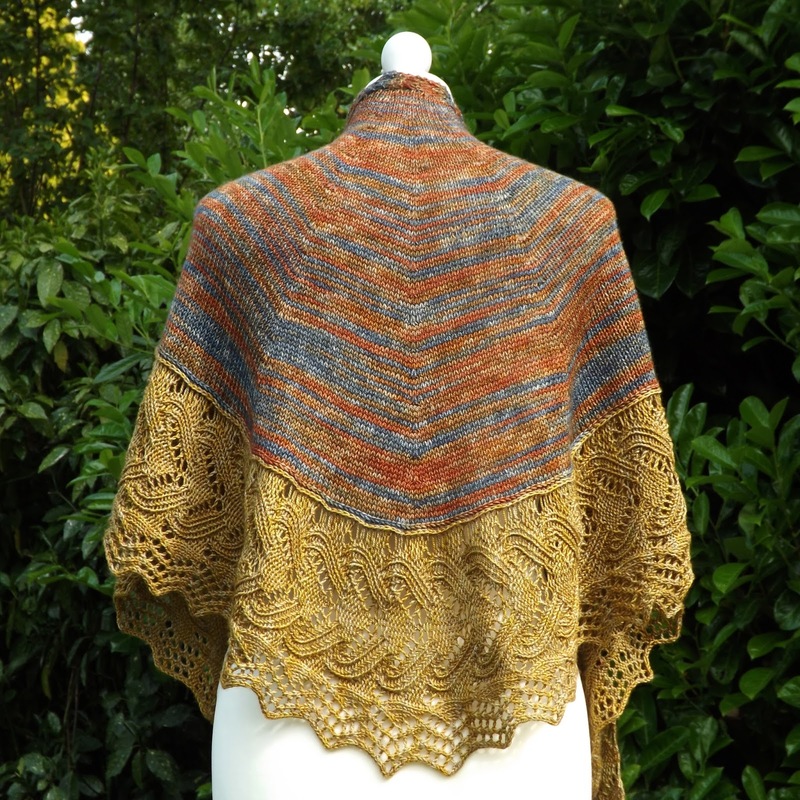 I love this shawl so much. 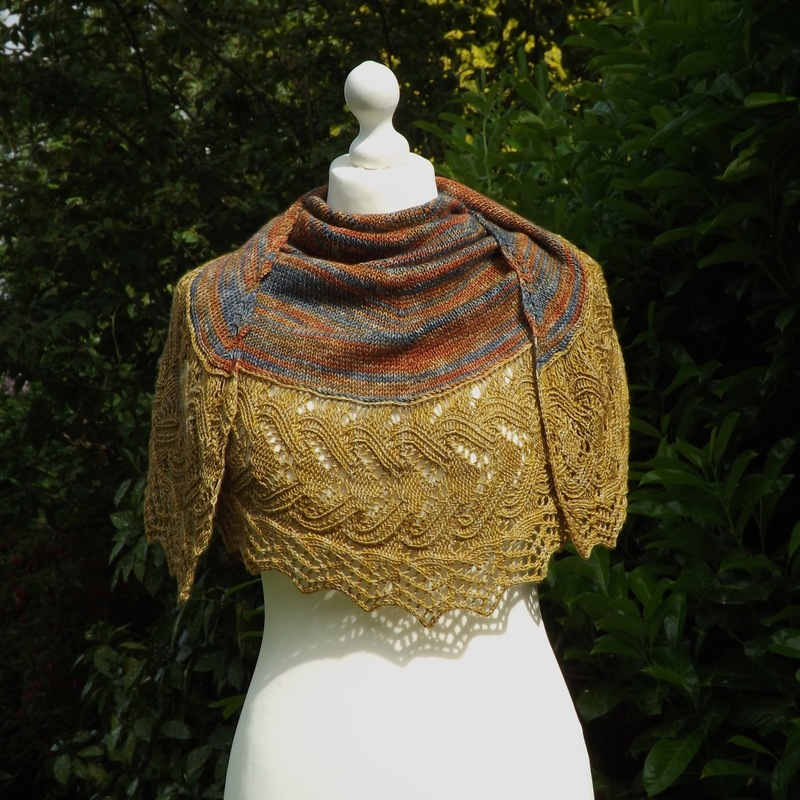 The colourways were dyed by Danielle of Mother of Purl and are inspired by Diana's hero costume and the golden outfits of the Amazons on their home island, Themyscira. I will be wearing my shawl with pride when I finally get to see the film on Thursday. If you choose to knit it, I hope it brings you even a fraction of the joy it brings me.